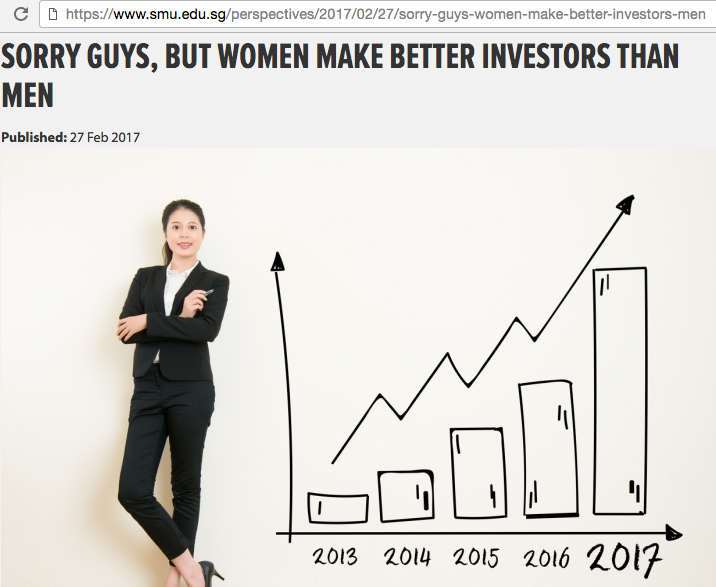 Do women make better investors than men? What "special" feminine traits or instincts might we have that could potentially give us an advantage over our male counterparts? While investing success doesn't necessarily boil down to gender differences - whether biological or psychological - there's no denying that it has been mostly the men who have been receiving recognition for their investing prowess so far. Warren Buffett. Charlie Munger. Bill Ackman. Benjamin Graham. Carl Icahn. Peter Lynch. George Soros. Sir John Templeton. Now, before we jump the gun, perhaps it might be worth understanding why the men have been getting all the attention. After all, if we look further back into history and into the eras where gender roles were more entrenched, men were mainly the breadwinners earning money for the household. Since most women relied on their husbands to support the family, few had money of their own to invest. That's my wild guess. Fast forward to the 21st century and we women are finally acknowledged for our contributions to the workforce, and being fully capable of earning our own keep. We don't need no man to be financially independent. 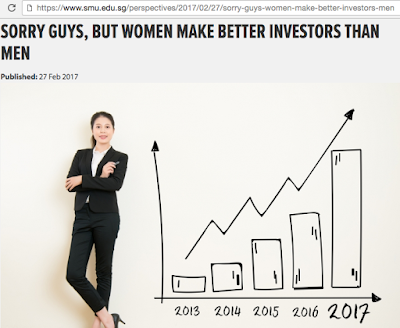 An analysis of 60,000 users of US online investment-sharing platform Openfolio showed that women investors outperformed men by an average of 0.4%. In 2015, women avoided the worst effects of a failing market and lost an average of 2.5% vs. the 3.8% loss among men. Hedge funds managed by women in the US returned 59% since 2007, whereas the overall returns across hedge funds stood at 37%. How's that for female power! For those of you who are looking to learn how to perhaps tap your feminine side to guide your investment decisions towards success, this upcoming conference in two weeks might offer some ideas. It can get lonely being a female investor in a world dominated by men. On my entire list of Whatsapp contacts, I only have one fellow female friend whom I regularly chat with to discuss stocks and investment ideas. Everyone else...is male. But having a support network is crucial, otherwise you won't be able to hear a diversity of views and analysis, nor sustain the emotional strength to stay on this journey for the long run. Yes I know, most females only like to talk about makeup, beauty, their OOTDs and fashion, or food. If you don't have fellow female friends to accompany you on this journey, you'll probably want to meet the other like-minded females at this event. This conference is catered specifically to modern, independent-minded women who are ready and keen to make smarter decisions about their finances. Decisions that can and will transform your relationship with your finances — and change your life. 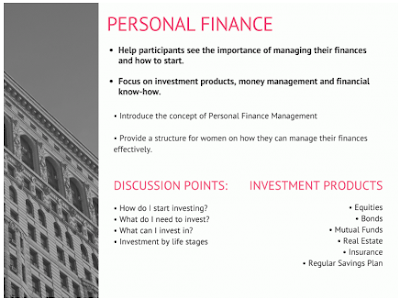 The organisers and speakers will be simplifying financial concepts to suit the interests of women specifically. 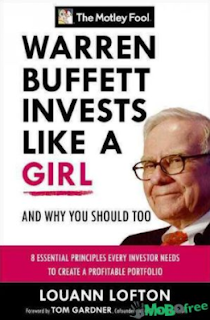 They've also promised to teach you how to tap into your feminine instincts to help you invest better. Unfortunately the 20% early bird discount has already closed (sorry, I really should have posted about this earlier but I've been insanely busy with my wedding preparations!) so the full price of the ticket is $250 to attend. However, BB readers get special treatment! I've managed to secure a 12% discount code for you to use if you're attending as a Budget Babe reader : TNSBudgetBabe valid until 7th April 2017, a day before the conference. I'm also giving away 2 tickets (worth $250 each) to 2 lucky readers of Budget Babe. To thank you for being a loyal reader, I'll like to give away 2 tickets to two of you to attend the conference since I can't be there in person. All you have to do is to leave a comment below and tell me which session in the conference agenda interests you the most + what you've learnt from reading my writings. This can be your biggest takeaway you've had from my blog ramblings, or any insight or even motivation to start getting your personal finances in order. Anything goes. 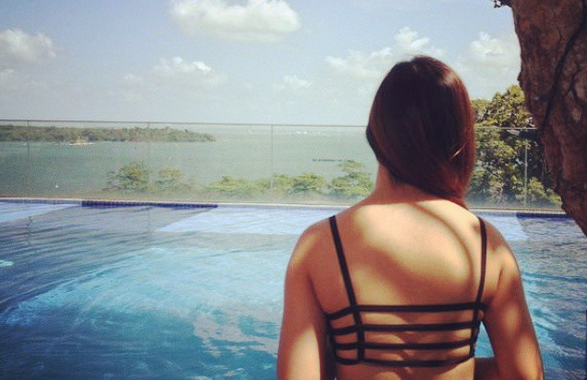 I'll give bonus points if you've liked my Facebook and Instagram page (sgbudgetbabe) haha! Till then, ciao, and see you guys after my wedding! Maybe I should change my name from Budget Babe to Budget Wife, followed by Budget Mom in a few years after that? Haha! I'm especially interested in the Real Estate and REITs session and through reading your blog, I've learnt handy tips on investing safely while aiming high on my investment journey. Keep it up! Hi BB! I am most interested to learn about having a structured finance plan as most often than not, I am confused with how to start and what is the next step to do to manage my finance efficiently. I have learnt a lot from your writings, from saving hacks to credit card comparison to exclusive interview content to stock analysis and many more! Always feeling grateful towards you for sharing with us your knowledge and opinions selflessly through many platforms e.g this blog, Instagram, Dayre, fb, fb closed group etc. Also, after reading your writings, I am so motivated to the point I started looking around for more information and investment courses to attend to gain more knowledge and insights. I am so thankful and hope I am given the chance to participate in the conference! Hi BudgetBabe, Thank you for this blog post. after I have read your post even days after. I have learned so much about myself from that post. to have more security about the future. I can start to invest section. I haven't had the courage to begin on my investment journey yet. I hope you will consider my entry for the ticket. Hi Dawn, dawn here. LOL yes we share the same name. Hi budgetbabe! Thank you for the giveaway, i would like to attend the conference to learn about investing. What interests me the most is "Investing For Beginners" as i am in my 30s, single, and clueless! I am an avid reader of your blog and your "How I Saved $20,000 In A Year" post showed me that there is no excuse for not saving. Hope to attend the conference and start on my journey to investing...! 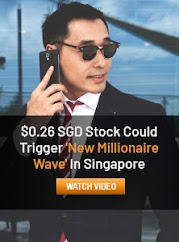 Hi BB, I have always enjoyed reading your posts~ Thanks for sharing your analysis/findings on the different stocks, as well as information on saving, bank accounts, lifestyle and financial products etc. I'm so glad to have come across your blog as you have always managed to share your financial knowledge in a very 'understandable manner'. I've just started working and am looking into investing some of my savings. I hope I'll be given a chance to attend this conference as the topics seem really interesting. The discussion points which interest me most are how do I start investing and what can I invest in? Have fun with your marriage planning & I'll look forward to your next post! I have chanced upon your "How I Saved $20,000 in a Year" article from a shared facebook post around 2 years ago. I am really excited when I saw that you are also on dayre and so generous in sharing your in depth knowledge with us! The sharing event at NUS was an eye opener for me and thank you so much again for spending the evening with us. I hope that I have this chance to attend this event to gain more insights about providing structure for women on how they can manage their personal finances effectively and investment by life stages. As for me, I am more towards risk averse, forever waiting for the right time and don't dare to step out of the waiting zone. Just like what you have mentioned that it is really hard to find girls who can discuss together. At this moment, there isn't any ladies whom I know are investing. I hope I will be brave for once to step out of my comfort zone soon to join the investment world and spread the words to my girl-friends! And I really liked about your credit cards and debit card post. Now I am a huge fan of the DBS visa paywave debit and I have gathered my whole family to get that card! 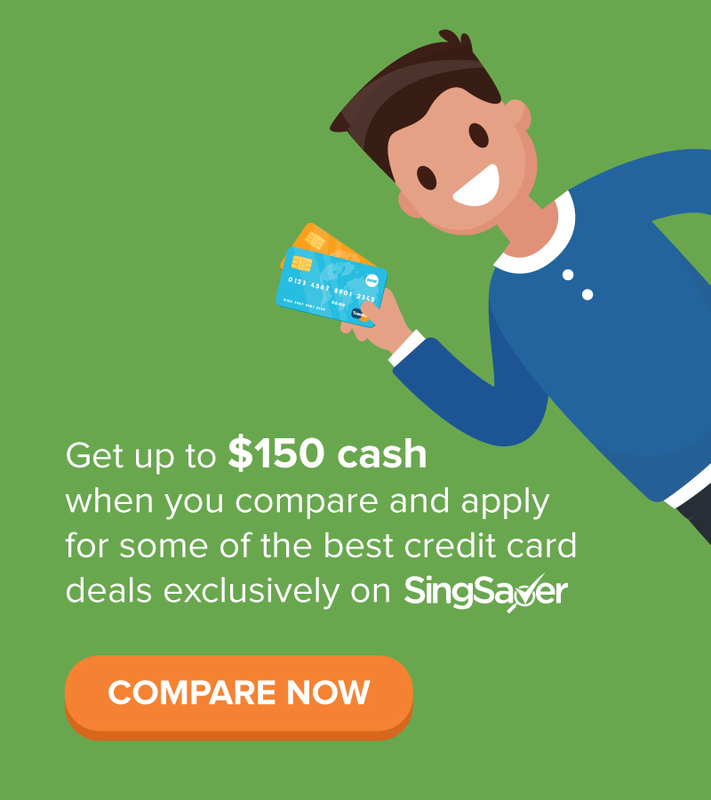 Since we can't hit the minimum spending requirements for the credit cards and having this debit card really helped us saved a lot! Have been reading your blog for quite some time and to be honest, I wish I have started reading your blog much earlier. Please continue to share as your writings have inspired many of us to start our own financial journey. For myself, one of the many things I have learned from you is your determination and perseverance to save a decent amount every month. You teach us how to save while spending and also how to maximize the savings we have on hand. Also, your analysis on various insurances, credit cards, stocks etc. has shaped many readers like myself to someone who makes better decision in terms of personal finance and investment. For the conference, what I would like to learn most is the topic on REITS as I would like to diversify my investment portfolio to a wider range. I would really love to be given the chance to participate in the conference! I would also like to thank you for organizing this lucky draw despite having such a tight schedule handing over your duties at work and preparing for the upcoming wedding. Please take care and rest well too! Hi May, I tried searching Facebook / Google + / Dayre but was not able to find your email address! I hope you're seeing this and my last message notifying you of your win! But sorry if you're not able to email me before I fly off on the 27th I won't be able to give you the details of the giveaway in time! Unfortunately if that's the case then I will choose a new winner so please email me by the 27th before I flyyyyyy. I'm particularly keen in the REIT topic of the conference agenda as I'm looking to make my first investment in this asset class by EOY. Besides that, I am very passionate about personal finance in general! I even wrote a dayre post titled "Savings tips I actually preach" to which you commented liking the 3rd tip and I was honored to have you coming by to read, let alone leaving a comment! :) Till today, I'm constantly trying to soak up more knowledge about financial management and I know this learning journey never ends. Really hope to be able to win the tickets! I've just followed you on IG (I didn't know you go by the same handle! ), and Facebook (liked it since the viral post!). I'd love to attend the conference and learn to take charge of my finances. I'm especially interested in attending the session "What You Need To Know As A First Time Investor" because well, *insert emoji with girl raising her hand eagerly* that's me! I've recently passed the bar (yay! ), started working and really want to start building good saving and investment habits NOW. As you say, our 20s is the best time to do this. I hope to increase my knowledge through the conference and as a result, decrease my fear and anxiety about investing! Slowly but surely, I hope the conference spurs me on to take the first few steps towards my #girlboss goals and financial freedom. I'd also love to meet and get to know other #girlbosses at the conference so we can really learn and support each other in this journey. These are really simple and actionable steps (Will finally stop procrastinating and go request that HR credit my salary via GIRO beginning this month right after this... ) and I love how understandable and accessible all your posts are! Thank you for sharing your knowledge with all of us. I never really thought much about my personal finances until I was approached by a couple of insurance agents while out shopping recently. I wanted to make an informed decision so I started researching on the different types of insurance and hence, found your blog. Your post on the topic of term versus life insurance was informative and insightful and helped me choose a term insurance that is suitable for my current life stage (and saved me lots of premium payments!). I have since subscribed to your posts and devoured many of them. You have inspired me to take charge of not only my finances, but my life. I have been working for more than a year since graduation and have come to realize that working a nine-to-five desk job every weekday for the next 40 years is not what I want. I am striving for financial freedom in order to have more time to pursue my interests and invest in relationships that matter. I'm really glad to have found a financial blogger like you, a millennial woman who I can relate to! I am interested in ALL of the sessions of the conference. If I must pick one, I am most interested in the "How To Keep Your Personal Brand Authentic In The Digital World". 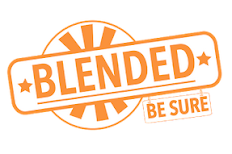 I am drawn to freedom and flexibility of the digital nomad lifestyle and hope to build an online business, in order to travel the world while working remotely. Thank you for sharing all the good stuff!